I had the extreme pleasure of being asked to speak recently at a meeting of the Connecticut Association of Probate Clerks (CAPC) at the Candlewood Valley Country Club in New Milford. CAPC is a group of dedicated individuals representing clerks from across the state who work in the Connecticut Probate Courts. If you have ever had to use a Probate Court—because of the family member’s death, guardianship of a minor, conservatorship for an elderly parent, an adoption proceeding, or any other matter over which the Court holds jurisdiction—then you have met or spoken with a Probate Court Clerk. They must be versed in a wide range of legal matters, which they are charged with administering through the Probate Court. I was asked to discuss the importance of language contained within a deed relating to a transfer of real property. Title to property can be held in many different ways; individually, jointly, in a trust, in a special trust, etc. Upon the death of an individual, it is important to know exactly what kind of interest that person held, and in what type of property. Due to the complexities involved in estate planning and other tools, attorneys create the necessary type of ownership for a specific client, and things can get quite involved. Often the party administering an estate has no idea what type legal ownership the decedent held, and the Probate Court must determine what the interest was and the value of the interest held by the decedent. I presented a general outline of what to look for, and a lively question-and-answer period followed. I remained after my discussion to listen to the “business” portion of the CAPC meeting and was amazed that attendees came from around the entire state. These meetings are held several times a year in different locations and many members will travel quite a distance to attend. The CAPC has several committees that address particular concerns Probate Clerks encounter while serving in their position, such as the inadequacy of forms promulgated by the Connecticut General Assembly. 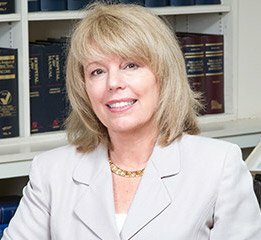 CAPC members keep themselves informed on recent changes to the law, and the organization alerts the legislature about issues that should be addressed, or ways to improve the flow of paperwork to lessen the financial burden and time constraints some measures can create for those who use the Probate Court. The organization’s members also support community groups by giving time and funds that they raise, and engage in other community involvement initiatives. They do all of this on their own time, in an effort to best serve their respective communities. Next time you enter a Probate Court, know that behind the counter are professional, informed and caring Probate Clerks who go the extra mile to make your experience with the court the best that can be offered. At Cramer & Anderson, we have a highly experienced Estate Planning, Probate & Trust Administration practice, as well as a team of attorneys with long experience in Real Estate Law of all types. Both of those Practice Areas intersect often with our Elder Law practice, which has a newly updated web page. I work primarily in the firm’s New Milford office, and Cramer & Anderson also has offices in Danbury, Litchfield, Kent and Washington Depot. You may reach me at (203) 355-2631, or by email at lbuzaid@crameranderson.com. 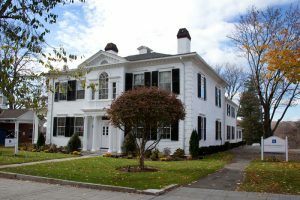 For general inquires, call the New Milford office at (860) 355-2631, or see the firm’s website at www.crameranderson.com.